A squad from Skaraborg Armoured Regiment training on the island of Gotland in the Baltic outside Visby's 13th century city wall on September 14. In March 2015, Russia carried out a large-scale training exercise with up to 33,000 soldiers, which included the capture of Gotland as part of its scenario. (by Richard Orange, London’s Daily Telegraph) Malmö — Sweden’s towns and villages have been ordered to make preparations for a possible military attack in the latest sign of the country’s growing anxiety at its newly belligerent Russian neighbor. The country’s Civil Contingency Agency (MSB) sent a letter to local authorities across the country this month asking them to maintain operations centers in underground bunkers, ensure that a system of emergency sirens is in place, and to be open to cooperating on war exercises with the Swedish Armed Forces. 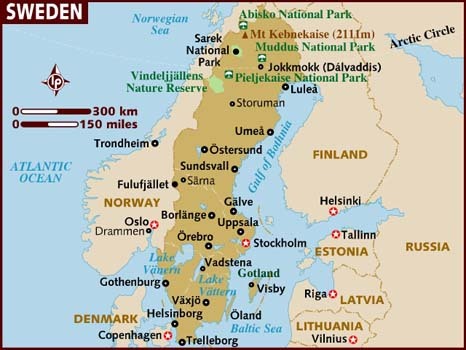 The dramatic call comes as Sweden returns to the Total Defence Strategy it maintained during the Cold War, reconstituting its old coastal anti-ship missile system, placing an armoured division on the exposed Baltic island of Gotland, and making plans to restart compulsory conscription as early as 2018. “This strategy is not new. We used it during the Cold War and we are going to now strengthen coordination regarding civil defence,” said Magnus Dyberg-Ek, who is leading the civil defense operation for MSB. The letter said that the Swedish Association of Local Authorities and Regions (SKL) had agreed to oversee the preparations, and would work over the coming year with MSB and the Swedish Armed Forces to work out more details of municipalities’ duties. These include developing a plan to maintain and upgrade emergency bunkers across the country, many of which have been sold or allowed to fall into disrepair. “Operations centers in bunkers need to continue to be held in ready reserve. In special cases, decommissioning or sale can take place, but first there must be a dialogue between MSB and the local region,” the letter warned. Sweden’s government decided to bring back civil defense last year as part of its defense policy for 2016 to 2020. “There is nothing to suggest that war is likely, but we have been given an order from the government to plan for it,” Svante Werger, the press officer for MSB said. The letter has provoked complaints from some municipalities that they have insufficient information on what is required and have not been provided with the necessary funding. 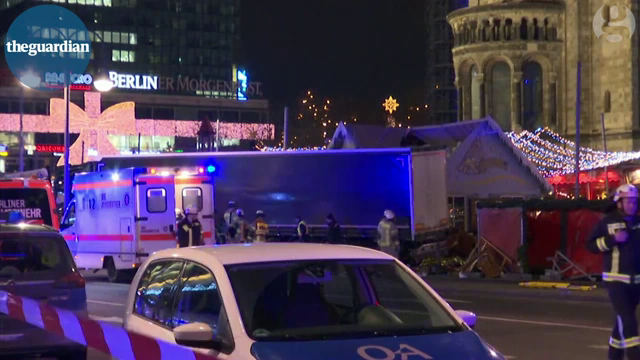 (CBS News and UK Daily Mail) – At least nine people were killed and dozens injured when an 18-wheeler truck plowed through a crowd at a popular Christmas market in Berlin late Monday, police said. 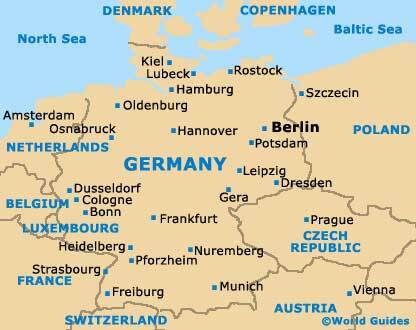 Polizei Berlin confirmed the deaths on Twitter, and said later that the attacker had been arrested near the scene. The attack happened in Breitscheidplatz, a major square in the center of the German capital. Every year, the city of Berlin hosts a Christmas market near the fashionable Kurfuerstendamm avenue. The attack happened at the foot of the landmark Kaiser Wilhelm memorial church, which was kept as a ruin after World War II. The attack in Berlin called to mind the deadly July terrorist assault in Nice, France, that saw 86 people killed and hundreds injured when a truck driver slammed into a crowd celebrating Bastille Day. The driver was believed to have been inspired by ISIS. This incident comes amid repeated warnings from security agencies that supporters of Islamic State could launch lone wolf terror attacks at festive markets across Europe. After the driver was arrested nearby and another person was found dead in the cab, there was speculation that the Polish-registered truck may have been [hijacked from a Polish] haulage firm, which said they lost contact with the driver in the afternoon. … According to German newspaper Die Welt, the truck was driven by a refugee who had arrived in Germany from Pakistan in February. The truck owner said he lost contact with his cousin, who was transporting steel beams from Poland to Germany. “I can say hand on heart that the man who drove into those people in the center of Berlin was not my driver. This is my cousin. I’ve known him since I was born. My scenario is that they did something to the driver – they hijacked this vehicle because it was practically in the center of Berlin and they had a good vehicle with which they could do what they did. In many towns in Germany and Austria, Advent (a time of expectant waiting and preparation for the celebration of the birth of Jesus at Christmas) is usually ushered in with the opening of the Christmas market or “Weihnachtsmarkt”. 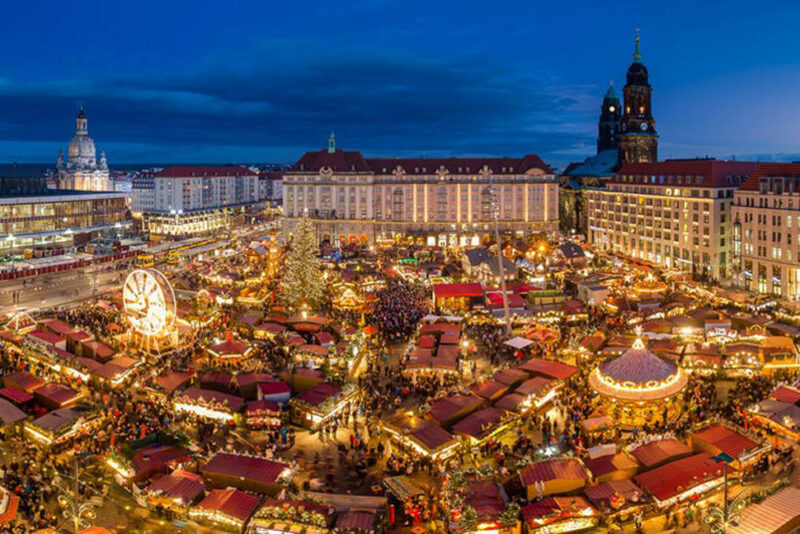 In southern Germany and Austria it is sometimes called a “Christkindlesmarkt (or Christkindelmarkt)” (German language, literally meaning “Christ child market”). Generally held in the town square and adjacent pedestrian zones, the market sells food, drink, and seasonal items from open-air stalls, accompanied by traditional singing and dancing. 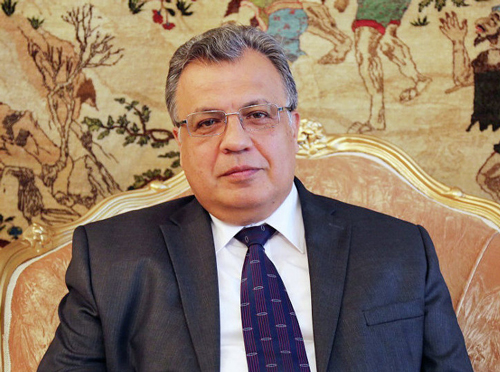 (Chris Summers, UK Dail Mail) – The Russian ambassador to Turkey was shot dead on Monday by an off-duty Turkish police officer at an art gallery in Ankara in ‘revenge’ for the conflict in Syria. The shooter, who was wearing a suit and tie, has been identified as Mevlüt Mert Altintas, 22, a member of Ankara’s police riot squad. He reportedly fired into the air before taking aim at the ambassador. He then turned weapon on others in the gallery, injuring three people before he was shot dead in a 15-minute stand-off with police. He ordered security at Russian embassies to be stepped up and said he wanted to know who had ‘directed’ the gunman’s hand. 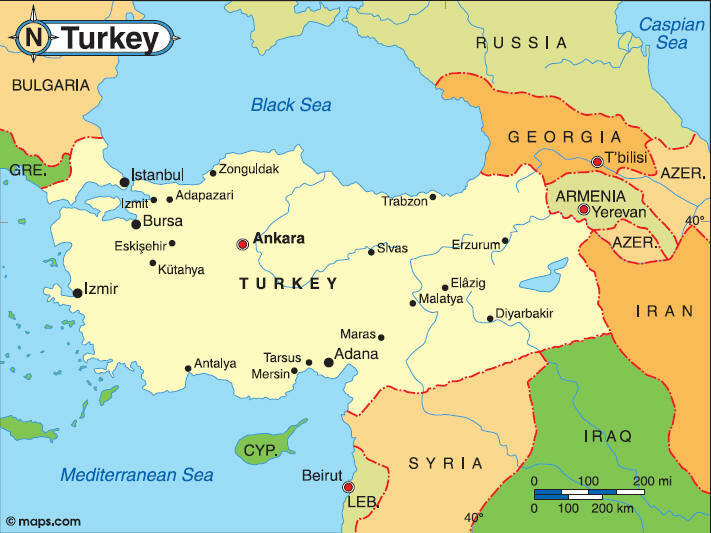 The assassination follows days of protests in Turkey over Russia’s role in Syria and comes just one day before the Russians are due to host Turkey and Iran’s foreign ministers for talks on the evacuation of civilians from Aleppo. Turkish president Tayyip Erdogan spoke by phone with Putin after the attack to share information about the shooting of Moscow’s ambassador to Ankara, a Turkish official said. Putin described the assassination as a “provocation” aimed at destroying the improving relationship between Moscow and Ankara. The Russians have secured the agreement of Turkey’s government to send its own team of investigators to Ankara to probe the murder. James Nixey, head of the Russia and Eurasia program at Chatham House think tank in London, said Moscow would use the attack to step up actions in what the Kremlin sees as a ‘war on terror’. b) What is the MSB? c) What three things has the MSB asked local authorities across Sweden to do? d) For what reasons are they implementing these plans? b) Who drove the 18-wheeler truck into the crowd of Christmas shoppers? c) What was his motive? b) Why did the policeman attack the ambassador? Jonas Hult, head of Safety and Security for the city of Malmö, told Sydsvenskan that the city still had no plans on how to distribute protective masks, vaccines, or petrol, or on how to direct people to bunkers and shelters in the event of an attack. In 2013, the Russian air force conducted a mock nuclear strike against Sweden during war games which saw a contingent of Russian aircraft approach Swedish airspace after crossing the Gulf of Finland. This was one of several examples of dummy nuclear attacks against Nato and its allies in recent years, according to a Nato report.